Welcome to PIJUSHI Amazon Official Store. 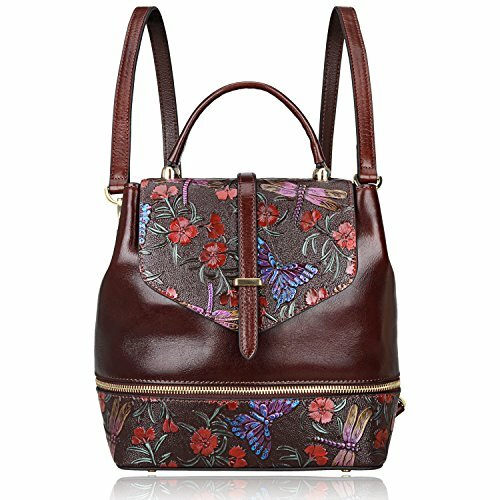 PIJUSHI Co.,ltd is a fashion original designer brands in USA, and always committed to designing and creating unique fashionable high quality handbags that continually redefine timeless style. Basic Information: Size: Size: L11"X H9.7"XW 5.5" with 3" high handles Net Weight:1.2kg Remarks: This product is made of top quality Genuine Leather and may has a bit new leather aroma. If you are not used to it, you could just open the package and put it in a ventilate place for a few hours, then the smell will fade away. Package include: 1 x handbag Return Policy: If you receive broken,damaged,wrong item or do not like it,please contact us with some pictures about the stuff you received,and our customer service will figure out the problem and offer you the best solution within 24 hours. If for other reasons, we encourage our customer contact us, we will response in one business day and do our best to service you.